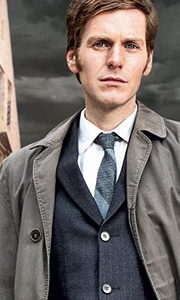 Own Endeavour Series 1 Plus Pilot DVD from Deff, DVD, Blu-Ray & 4K Video Specialists - Free UK Delivery..
Shaun Evans stars as the peerless DC Endeavour Morse in nine unique mysteries of breathtaking complexity. Set against the historic spires of Oxford, and the constantly changing climate of 1960s Britain, these rich, filmic and emotionally epic stories combine dazzling thrills with cerebral puzzlework. Prospering under the tutelage of Di Fred Thursday (Roger Allam), the two men forge a cast-iron partnership, beginning with a tragic missin..
Own Endeavour Series 1 to 3 DVD from Deff, DVD, Blu-Ray & 4K Video Specialists - Free UK Delivery..
Set during the tumultous 1960s, we are introduced to the Young Morse who is summoned back to historic spires of Oxford to solve complex cases resulting in remarkable thrills and cerebral puzzle work. Althought Morse prospers under the tutelage of Thursday, both men struggle to find their bearings, both personally and professionally, amidst the rapidly changing climate. Thirty years since Colin Dexter's fiercely intellectual characters f..
Own Endeavour Series 1 to 5 DVD from Deff, DVD, Blu-Ray & 4K Video Specialists - Free UK Delivery..
Set in Oxford during the 1960s, against a backdrop of revolutionary social change, ENDEAVOUR chronicles the early criminal casebook of a young detective who will grow to be Colin Dexter’s immortal Inspector Morse. Together with friend and mentor, the gruff yet kindly Detective Inspector Fred Thursday, the crime-solving pair investigate murder and dark deeds in the eternal city of dreaming spires. As Oxford’s Finest unravel a collection..
Own Endeavour Series 2 DVD from Deff, DVD, Blu-Ray & 4K Video Specialists - Free UK Delivery..
Shaun Evans and Roger Allam return as DC Endeavour Morse and DI Fred Thursday in a quartet of new murder mysteries, each unique and breathtaking in their complexity. Last seen languishing in a prison cell and framed for a crime he didn't commit, Endeavour is impelled to return to duty when a young woman's baffling murder requires his singularly cerebral mind to solve. As both men struggle to find their bearings amidst the rapidly changi.. Following the dramatic finale of series three, we find Oxford's finest picking up the pieces of their personal and professional lives. DC Endeavour Morse (Shaun Evans) awaits the result of his Sergeant's Exam, while DI Fred Thursday (Roger Allam) and his wife Win struggle to cope with their children flying the nest; Sam gone to the Army and the traumatised Joan... who knows where? But there are even greater challenged to face. The Summe..
Own Endeavour Series 5 DVD from Deff, DVD, Blu-Ray & 4K Video Specialists - Free UK Delivery..
Set in Oxford during the 1960s, against a backdrop of revolutionary social change, Endeavour chronicles the early criminal casebook of a young detective who will grow to be Colin Dexter’s immortal Inspector Morse. Together with friend and mentor, the gruff yet kindly Detective Inspector Fred Thursday, the crime-solving pair investigate murder and dark deeds in the eternal city of dreaming spires. As Oxford’s Finest unravel a collection ..